Our teams are highly experienced in working on large commercial developments, and will work closely with the Client to deliver the highest quality building, on time and to budget. We encourage our early involvement to enable our teams to advise on stone choice and design solutions, where needed, achievable programmes and efficient logistics. We welcome the opportunity to show Clients round our production facility, which is helpful in understanding the processes involved in producing quality stone. 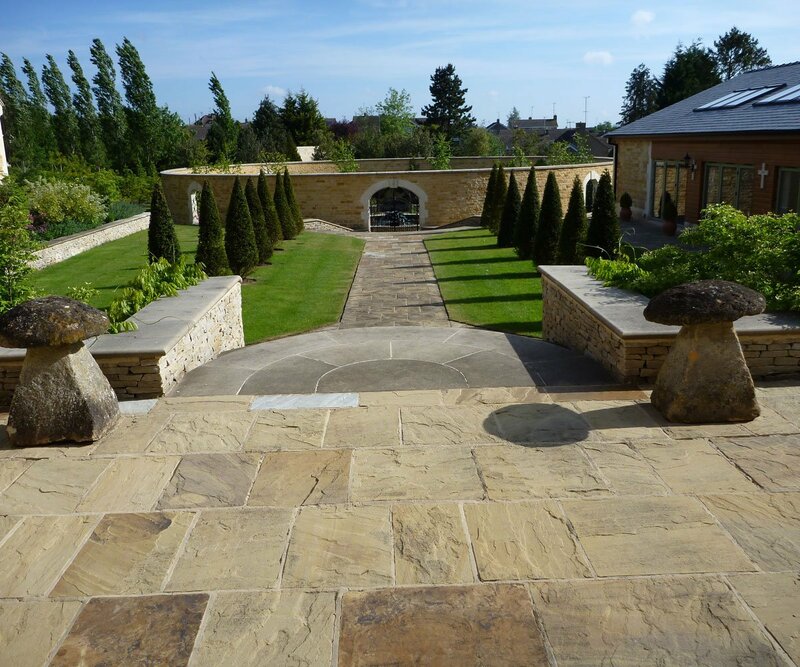 We undertake all types of hard landscaping from terraces to steps, water features, swimming pools, sunken gardens, walls and more, with our teams of specialists liaising with the architect and Client to make their vision a reality.